Has there ever been a time when someone has asked you, "What's your sign?" If you were confused, don't worry! Despite its growth in popularity, astrology is still a concept many people don't understand. With Zodiac signs, birth charts and horoscopes, there is a lot to keep track of! 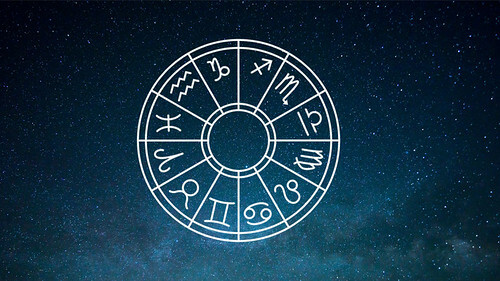 Here is your guide to the basics of astrology, and what your Zodiac sign says about you! Although they sound very similar, astronomy and astrology are not the same thing. Astronomy is the study of things beyond Earth's atmosphere, while astrology is the study of how the stars and planets affect us based on their movements and positions. Astrology includes the 12 zodiac signs, which are based off the position of the sun during the time of your birth. Along with your zodiac sign, everyone has a unique "birth chart" which shows the positions of the planets and moon at the moment you were born. Based off of your birth chart, you can discover many other aspects of yourself through horoscopes. Horoscopes use the information from your sign and birth chart to provide you advice and insight. Everyone has an assigned zodiac sign, or "sun sign", according to the date of your birthday. Each of the signs are associated with different personality traits meant to represent those of that sign. While your sun sign is your main sign, the positions of the moon and planets on your birth chart are associated with other signs as well. For example, I may be a Leo, but my moon is in Pisces. The positions of these signs provide a deeper look into your personality. The positions of the other signs are also associated with the 12 astrological houses. Each of the houses deals with certain aspects of life, such as money, communication, and work. Using the previous example, my Pisces moon is in the first house, which represents appearance and leadership. This means my decisions in appearance and leadership are associated with the characteristics of Pisces. Each of the 12 zodiac signs are also associated with the four elements. Fire, water, earth and air signs have unique characteristics that certain zodiac signs share. In a survey among a few Hofstra Her Campus members, 25% of the survey participants' signs are Taurus, followed by 12.5% who are Cancer, Virgo, Libra and Scorpio. Gemini, Aries, Capricorn and Sagittarius participants were the lowest at only 6.3%. When asked if they identify with the specific traits of their zodiac sign, 62.5% agreed with their sign, 25% moderately agreed, and 12.5% did not. Only 18.8% of the surveyed follow their astrology and horoscopes on a regular basis, while 68.8% occasionally do, and 12.5% do not. While this is not a 100% accurate representation of every Hofstra Her Campus member, it shows how people's opinions and views on astrology differ. Astrology is not a rule book that you must follow according to your sign. Astrology is about helping provide advice and insight to people of similar personalities and preferences. If you are looking to discover more about your astrological profile, there are plenty of apps, websites and platforms to check out! Some of Hofstra HC's favorites include Cafe Astrology, Co-Star and the Cosmopolitan Horoscope section. While those are just a few favorites, there are a plethora of outlets to get your astrology fix. Astrology is all about helping you live your best life. Whether you agree or disagree, everyone can benefit from a little advice from the universe. Now if you'll excuse me, I have to go catch up on my horoscopes!